Hello there. 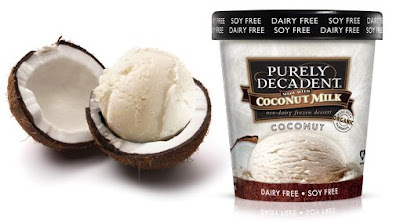 I finally tried Purely Decadent coconut milk ice cream and oh man, it's amazing. I selected the coconut flavor (super yummy), but my friend Amy says the chocolate flavor will change my life. Both are sweetened by the likes of agave. What a delicious Sabbath treat! My friend Amy has the mint chip flavor at her house ~ I'm gonna try it tonight!